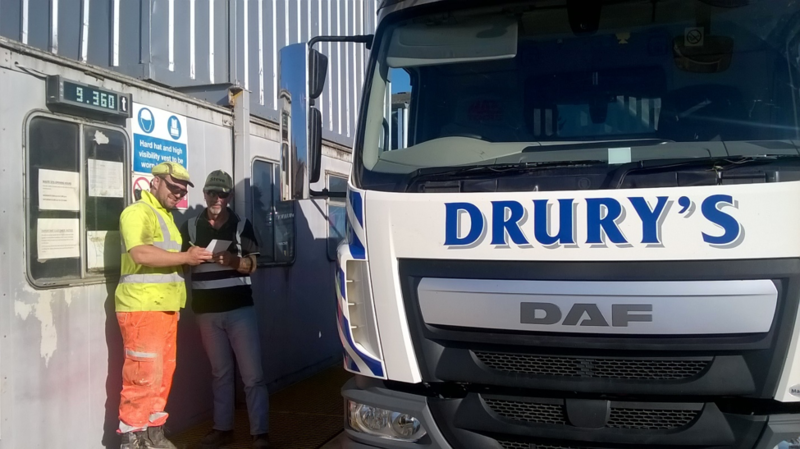 Drury’s Environmental Services Ltd offer a dry waste collection service. Offering open and closed containers, from 2yd up to 40yd RORO bins. An open gate policy is also in place where registered waste carriers can dispose of waste covered within their permit. A three-phase waste segregation and treatment is used onsite. Within the working parameters of the authorisation and permit requirements. There are realistic targets set for landfill reduction and recycling practices which has been fully adopted by all staff within the business. Upon reception of waste into the facility it is weighed and all regulative paperwork is completed. The waste container is checked before it is tipped on the reception pad and sorted by hand to remove any large pieces of waste that may cause problems further in the process. Any containers that are outside the acceptance criteria are held within the isolation bay for further inspection by the site supervisor. Large pieces of concrete, metal or wood are tipped in designated areas where they are treated in a separate method. Once the first sort has been completed the material is loaded via a 360o tracked excavator or wheeled loading shovel into the feed hopper of the Material Recycling Facility (MRF). The waste is picked through manually to remove wood, plastic and plasterboard by operatives standing on the picking line, before its first sort mechanically in the Mammoth Trommel. The particles below 20mm that fall through are reduced in size further in a smaller trommel which will remove stone and soil. The large piece items from the fist trommel continue along the belt, where they will be hand sorted further to remove any more recyclable material. Throughout the process there are magnets removing ferrous metal such as nails and screws. The finished clean brick rubble and concrete are taken to the crushing process area to be broken down and resold to the local construction market in the form of Type 1 graded crushed rubble.